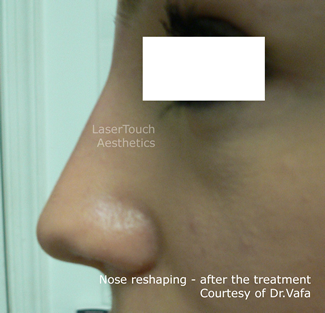 how does noninvasive nose reshaping with fillers work? 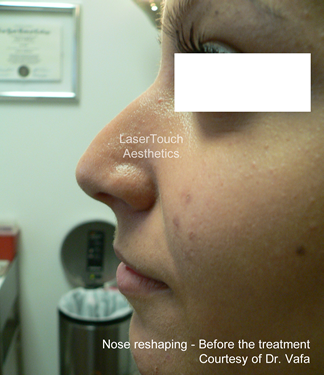 The Non-Surgical Nose Augmentation* (also known as the 15 minute nose job) is performed by injecting a FDA approved dermal filler in certain parts of the nose bridge and or nose tip to achieve a number of cosmetic outcomes. 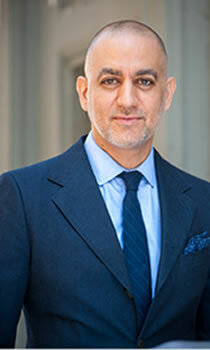 Within a few minutes, immediate correction will be achieved with minimum to no pain and minimal recovery and downtime. 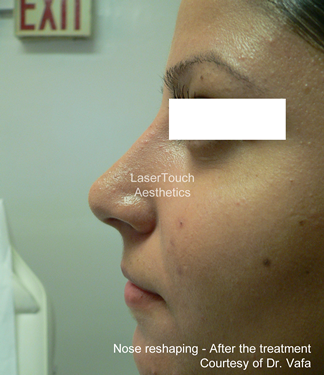 The Non-Surgical nose job is ideal for those who wish to have a more attractive nose without having to go through the possible complications, downtime, and high costs associated with Rhinoplasty (surgical nose correction). 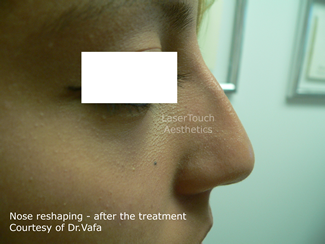 It is ideal for individuals with a wide variety of aesthetic nose complaints. This includes: crooked nose, depressions, small bridge, sharp angles, unattractive tip, bumps, etc. By correcting these imperfections with the FDA approved dermal fillers, your nose will become smaller, more symmetric, and attractive. 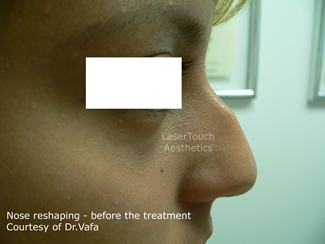 Juvederm™ and Radiesse™ are the fillers of choice in this case. 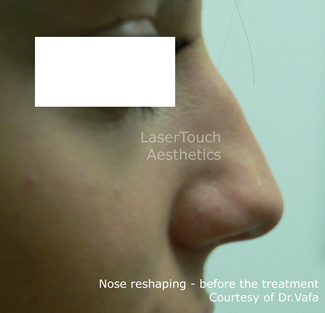 What nose imperfection can non-surgical nose reshaping correct? Lidocaine cream applied for about 30 minutes before the procedure yields minimum to no pain. Is there are any social downtime? Usually the client can return to work the same day since there will be no to minimal swelling or bruising. Which filler is better for me, Radiesse or Juvederm?